Luke Murphy, Souleymane Doukara and Jordan Botaka are three former first-team players that have all failed to make Monk’s match-day 18 in his two competitive games in charge so far. Botaka is in line for a season-long loan move to Charlton Athletic and United are known to have received a number of other loan approaches for the winger, including one from Oldham Athletic. In the meantime, Leeds are continuing to bring in new additions, with the arrival of Bristol City defender Luke Ayling imminent plus another Premier League midfielder on the Whites’ radar and Monk admits United will have to balance the books. Asked if it was fair to assume that fringe players would be leaving before the end of the current transfer window, Monk admitted: “It will have to be. “Those decisions will be made within house and of course there is a certain amount that you need in a squad and if there’s anything over that you make those decisions. Asked about the recent omissions of Murphy, Doukara and Botaka, Monk admitted: “It’s nothing tactical. It’s the squad that I am trying to create. “Unfortunately for those guys at the moment you can only select 18 players in a squad and the 18 players I have been selecting for the two games are the ones that I have and felt that they had been doing well and those guys are obviously out of the squad in those two games. “But everyone will contribute and everyone has a chance. 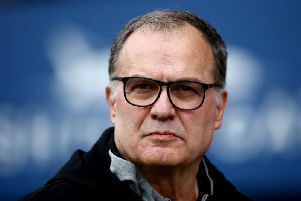 “I think as well, as a manager you have to select, and what will be an important process before the window closes is that we go forward with the squad that we need and the ones that I don’t need will have to find other options. “But that will be decided before the end of the window.